What I liked: the interface for presentations will be familiar to anyone who has used other well-known presentation software. You choose a slide and then add to it. There are a couple of free slides. There are lots of customisable widgets you can add (some free), plus video, audio and your own images. Most of all I liked that there’s a blank canvas where you can create images from scratch. That became my starter project to try Visme out. Once you choose your dimensions, and a background from several colours and textures, you start work on your canvas. There are stacks of elements to choose from: shapes, lines arrows, infographics, entertainment, logos, people… You can add your own images to your canvas, or select from searchable free ones. The free image search results I got were not particularly well-targeted, however. It’s free to download your image as a jpg. Generally, I found Visme quite straightforward to navigate. There’s good support already with a promise of more to come. I chose a wooden panel background, then added assorted elements and fonts. 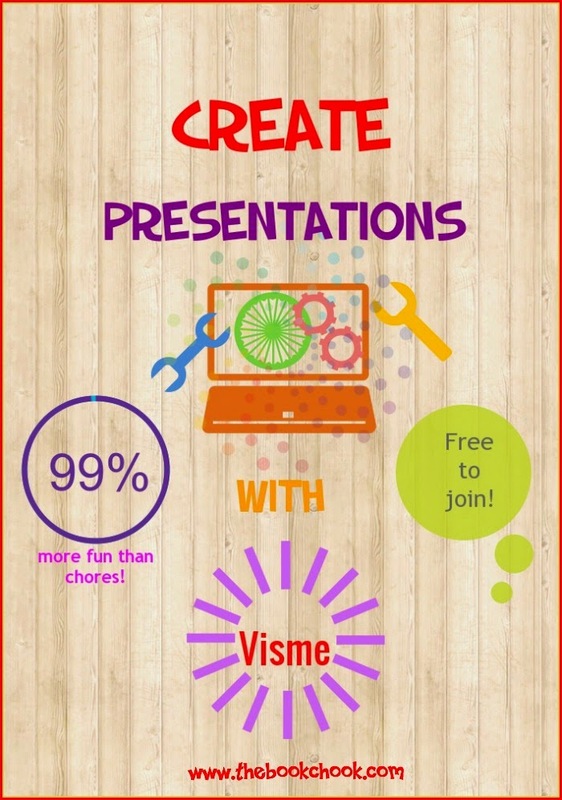 Here’s a video to give you some idea of creating presentations with Visme. As for me personally, I doubt I will pay for extra service with Visme. With only three free projects a month, it’s not likely I will use it on a regular basis to create images when Canva, Ribbet and PicMonkey already offer what I want. However, if I were going to create infographics on a regular basis, if I wanted to delve into their animations, or needed a web-based way of creating presentations, I would certainly look into it further. If you're interested in articles about making presentations, you might like to read Set Your Stories Free with Haiku Deck.